Stieg Larsson’s Girl with the Dragon Tattoo series are extremely popular, with the right blend of intrigue, wit and fully realised characters and the characters, rather than the story are what makes the book for me. At first I was enthralled in the mystery of the case our heroes Mikael Blomkvist and Lisbeth Salander become involved in. Larsson had me hook line and sinker with his detailed history of the mysterious Vanger family and missing family member Harriet. Larsson weaved a tight game of cat and mouse, handing out tidbits and red herrings here and there, but when it came to the denouement, I went away feeling a little disappointed. Of course the resolution made perfect sense, but I was really hoping for something a little more exciting to round things off. 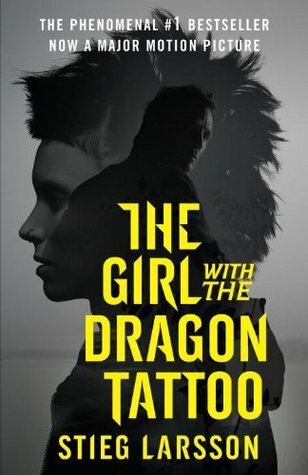 In the end it was the girl Lisbeth Salander, with her gothic melancholy, street smarts, desire for revenge and secret past that kept me reading until the final page and I’m very glad to hear that there are still two more instalments to go. I am a dark fiction author and artist from Central Queensland, Australia. I've penned four novellas: Torment, The Noctuary, Vaudeville and The Last Night of October. I also illustrated the Bram Stoker Award-winning graphic novel, Witch Hunts: A Graphic History of the Burning Times.